Free shipping on all orders over $25 within the continental 48 USA states! * Shipping method will be our choice of either UPS Ground, 1st Class Mail or Priority Mail. • Click "Check Out" at page-bottom when ready. Why you should buy from ByteRunner Technologies. 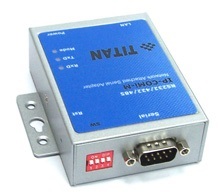 Need to access RS232, RS422 or RS485 serial devices over an Ethernet network or the Internet? 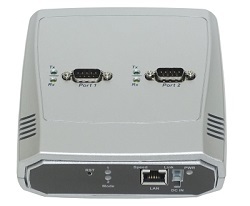 Our Ethernet Serial Device Servers make it easy to access any serial device over a local network, intranet or the Internet. The servers below offer a range from single port to 8-port control of Internet or Ethernet serial devices. 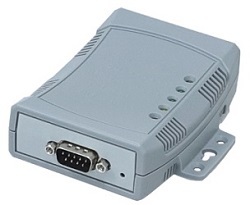 ByteRunner offers USB serial adapters as well. 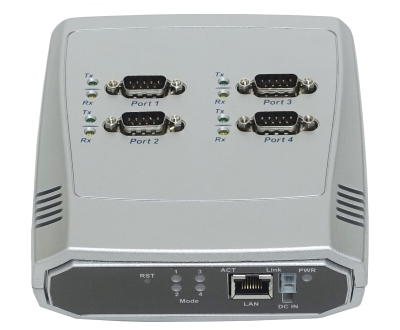 Eight port RS-232/422/485 DB9 to TCPIP Netcom Advanced Serial Device Server (Control 8 serial devices by Ethernet or Internet). Supports power-over-Ethernet. 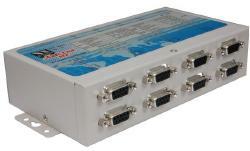 Ports configurable through Driver Panels, Serial Port, Telnet, WEB Browser, SNMP.